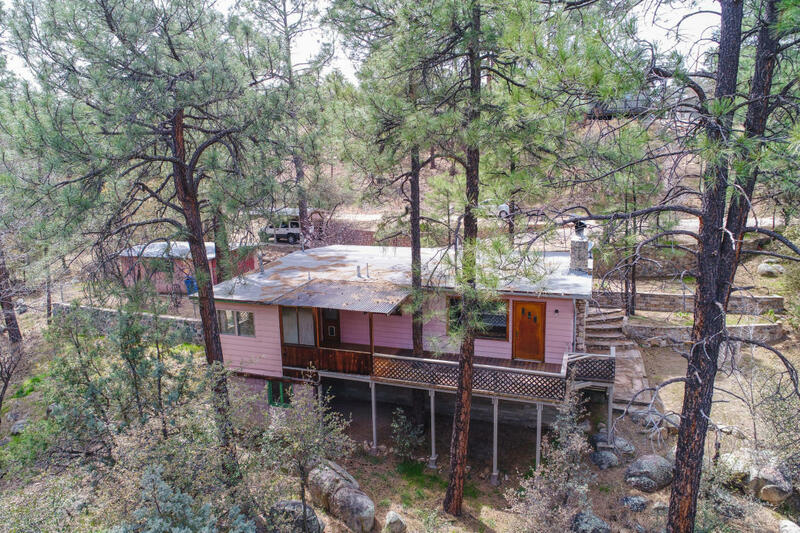 Tucked in the pine trees in one of the most sought after neighborhoods is a house settled on an oversized lot, next to a seasonal creek, only a 10 minutes drive to historic downtown Prescott. This home offers so much for a family or a couple wanting a weekend get away or quaint home in the pines. You will have two family rooms with great natural light, plenty of space for entertaining, and a garage/workshop for toys or tinkering. You will enjoy the oversized lot with plenty of space for kids to play in the creek or back and front yards. The under house storage is great and extremely usable. This will be a house you dont want to miss!